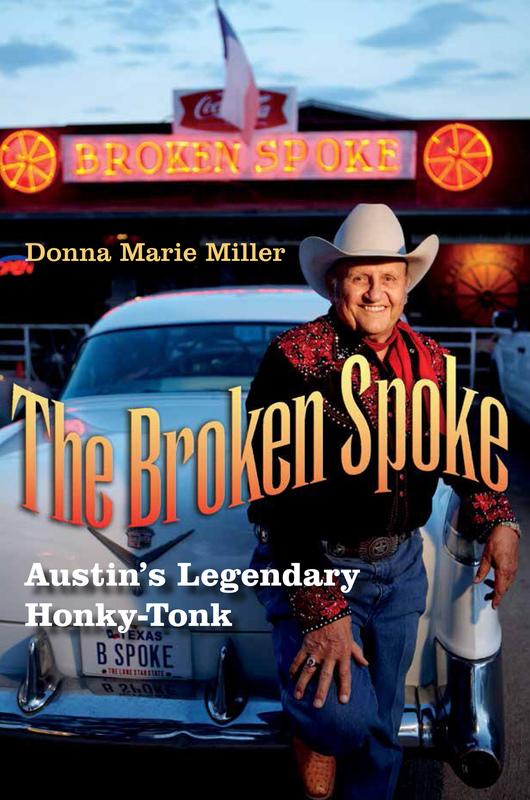 Texas A&M Un iversity Press and I launched my book, The Broken Spoke: Austin’s Legendary Honky-Tonk, Saturday April 22 at the Broken Spoke, 3201 South Lamar Blvd. Book signings were provided by James and Annetta White and myself. Ben Rogers played for tips in the dining room from 6 to 8 p.m. Terri White offered dance lessons in the dance hall at 8 p.m. for $8 per person. Afterwards, Alvin Crow and the Pleasant Valley Boys performed in the dance hall for an additional $12 per person cover charge.